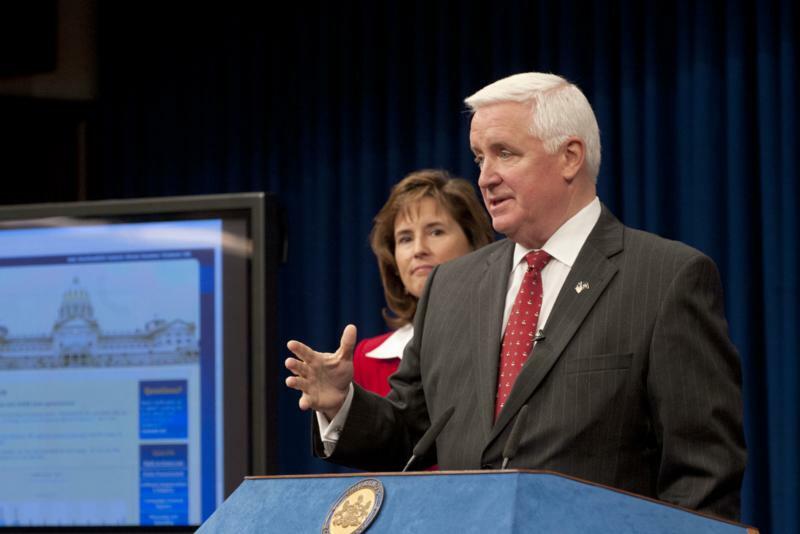 Governor Corbett Unveils Pennsylvania Transparency Website known as PennWATCH. 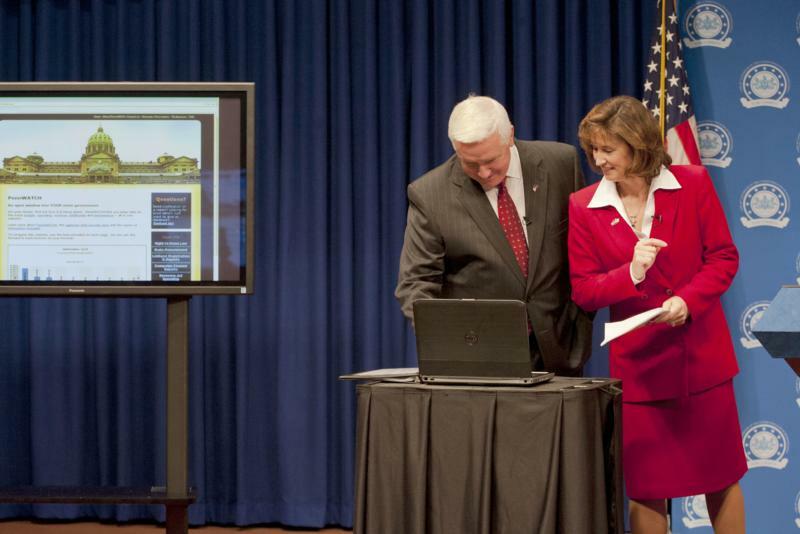 Harrisburg - Governor Tom Corbett ushered in a new era of transparency and accountability in state government today with the launch of Pennsylvania's transparency website, known as PennWATCH at http://www.pennwatch.pa.gov. 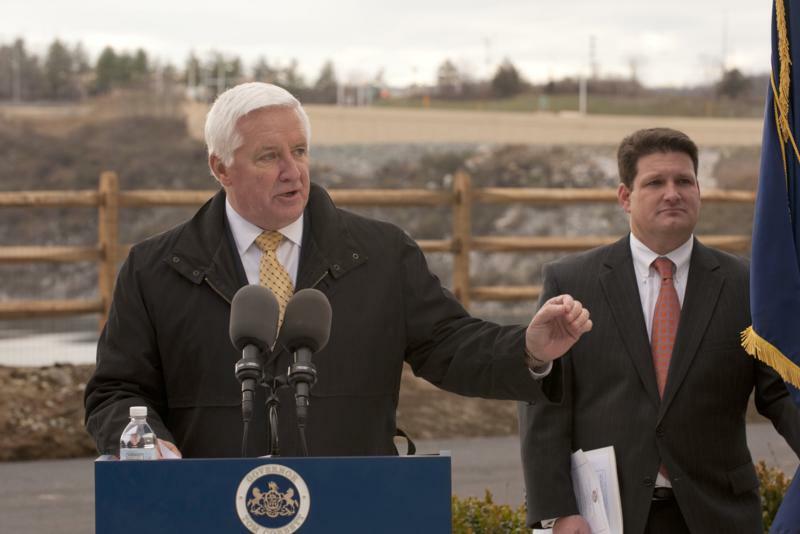 Corbett was joined today by the primary sponsors of the PennWATCH act, Rep. Jim Christiana, R-Beaver, and Sen. Pat Browne, R-Lehigh Valley. 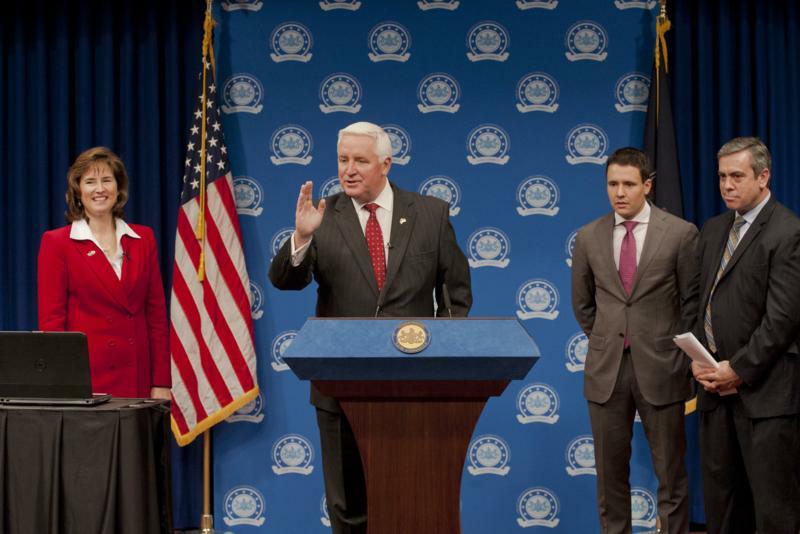 "Pennsylvanians deserve to know how their tax dollars are being allocated and spent," Corbett said. 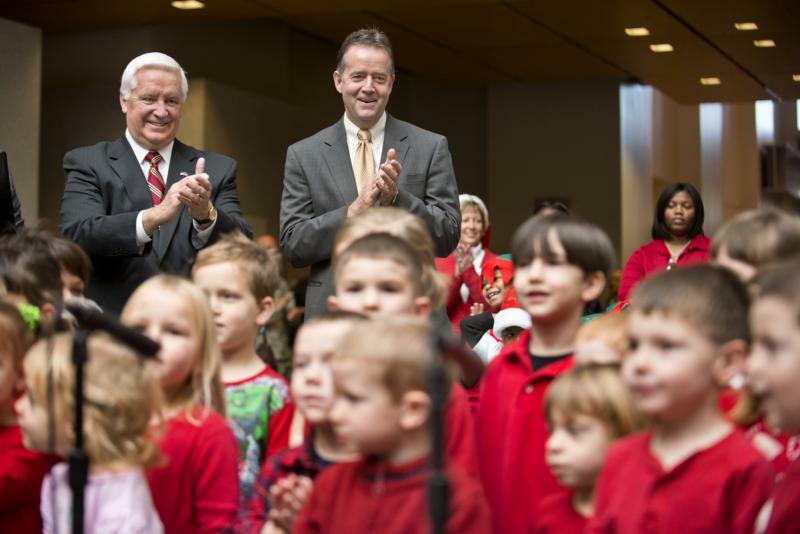 "PennWATCH gives citizens unprecedented access to information on the state budget, revenues, spending and workforce. 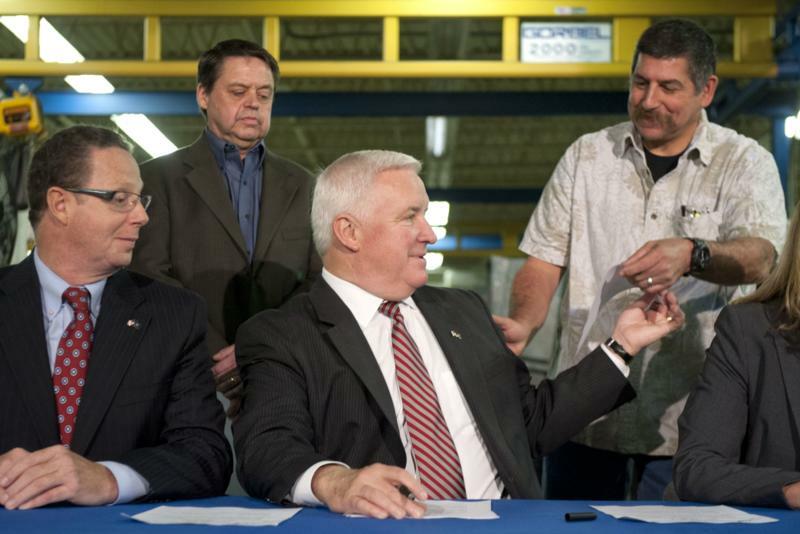 Governor Tom Corbett ceremonially signs House Bill 1539. 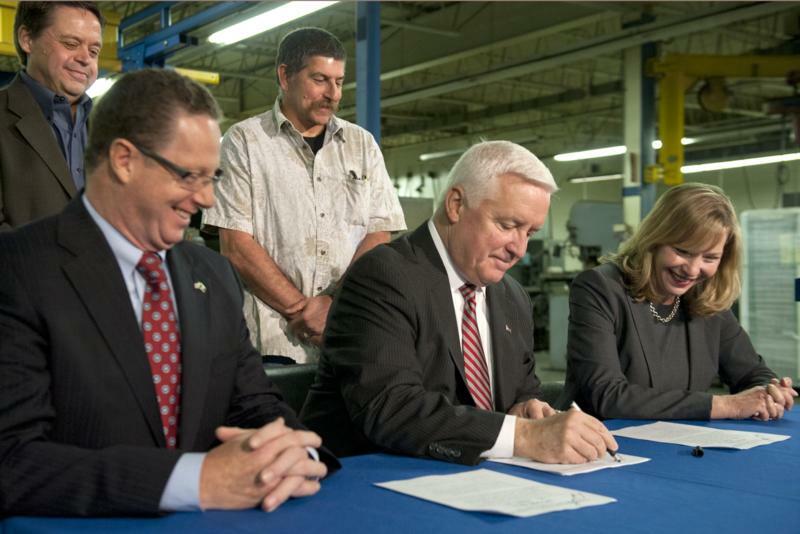 Dover - Governor Tom Corbett today ceremonially signed legislation that will help to connect unemployed Pennsylvanians with employers who are looking for new hires. 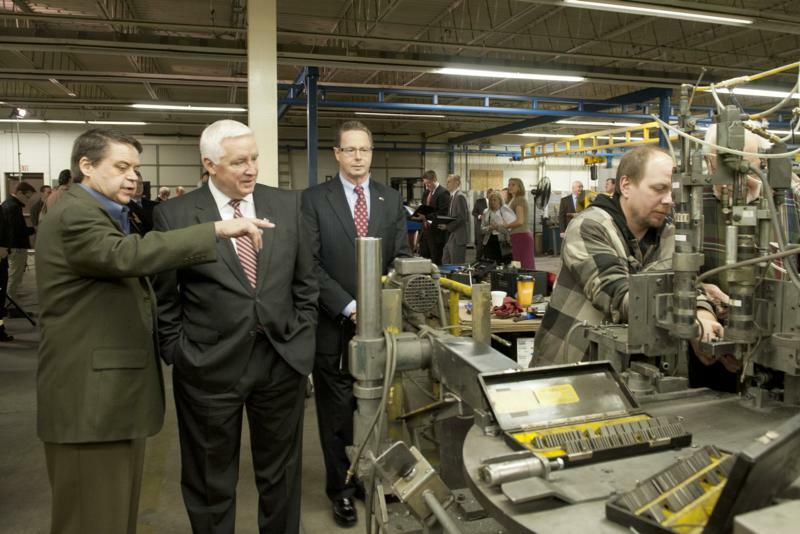 Sponsored by Rep. Stan Saylor (R-York), House Bill 1539, Keystone Works, provides an opportunity for unemployed workers to receive training with an employer while continuing to receive unemployment compensation benefits. 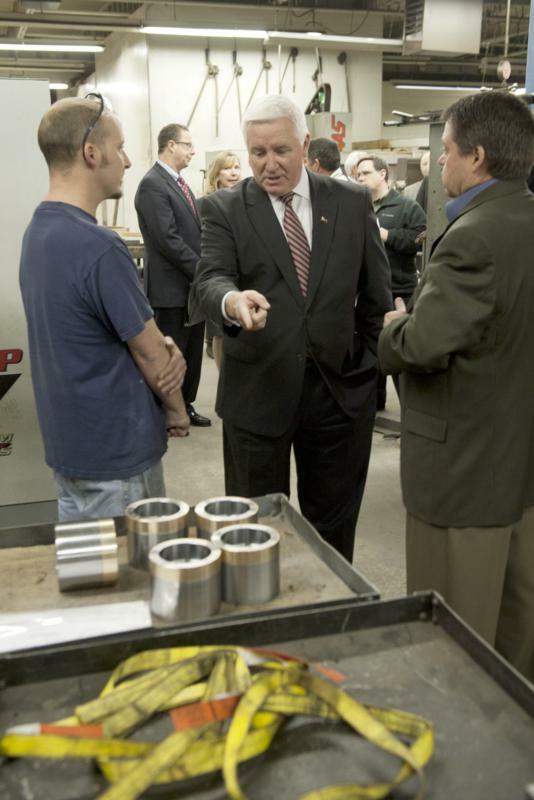 The Keystone Works program also gives employers the incentive to hire trainees once their training is complete. 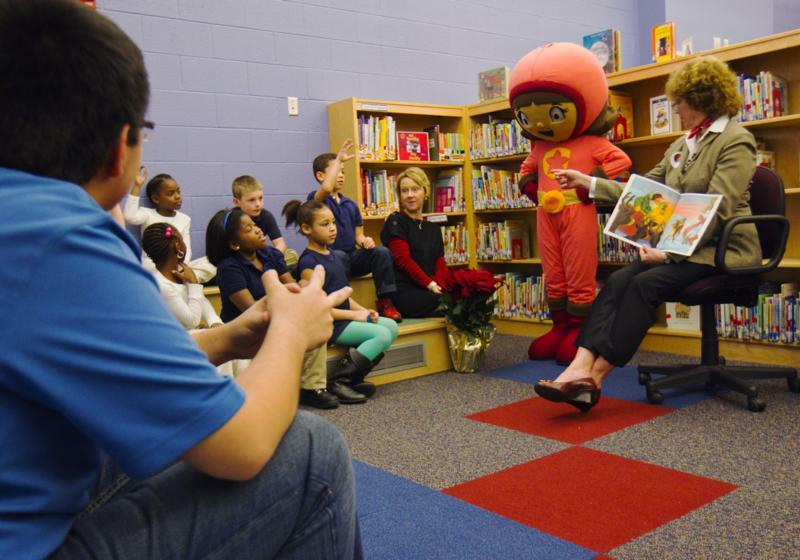 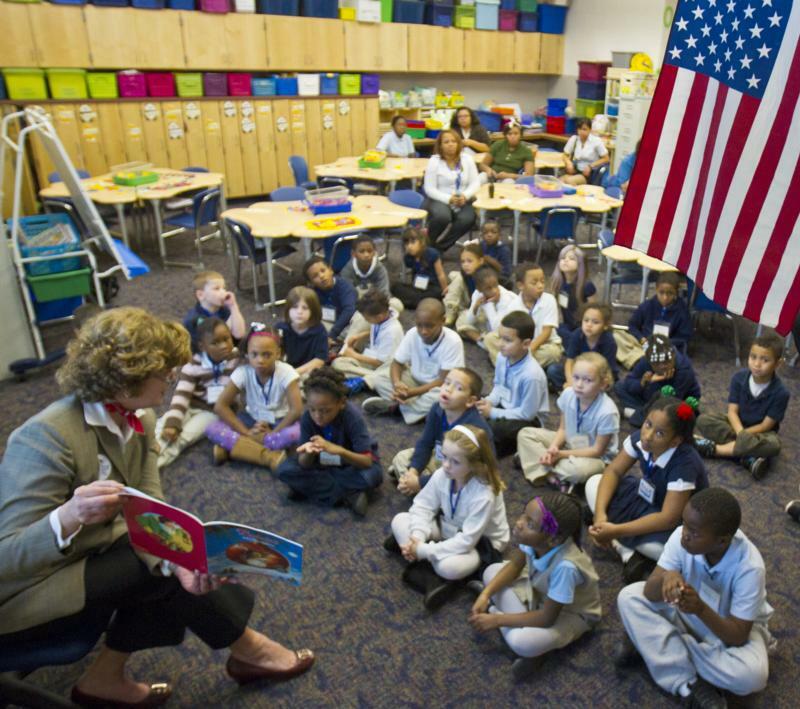 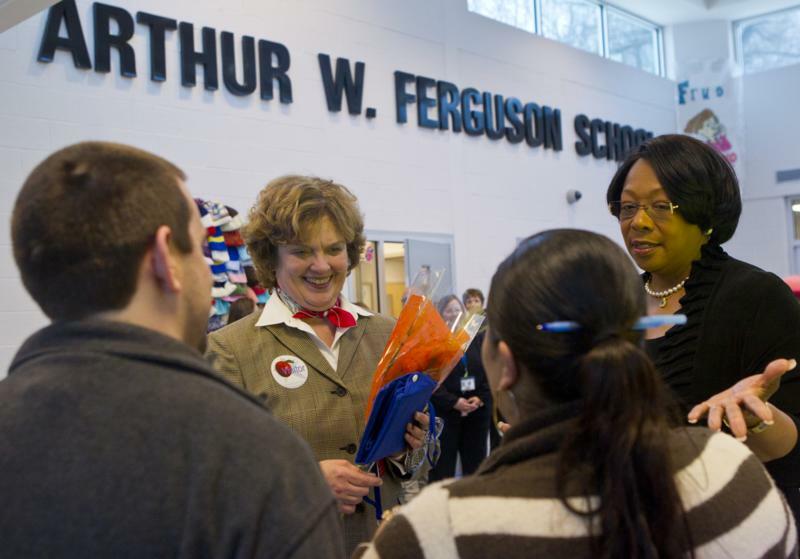 Pennsylvania First Lady Susan Corbett today visited Ferguson K-8 school in York as part of Scholastic's "Read Every Day, Lead a Better Life" literacy campaign. 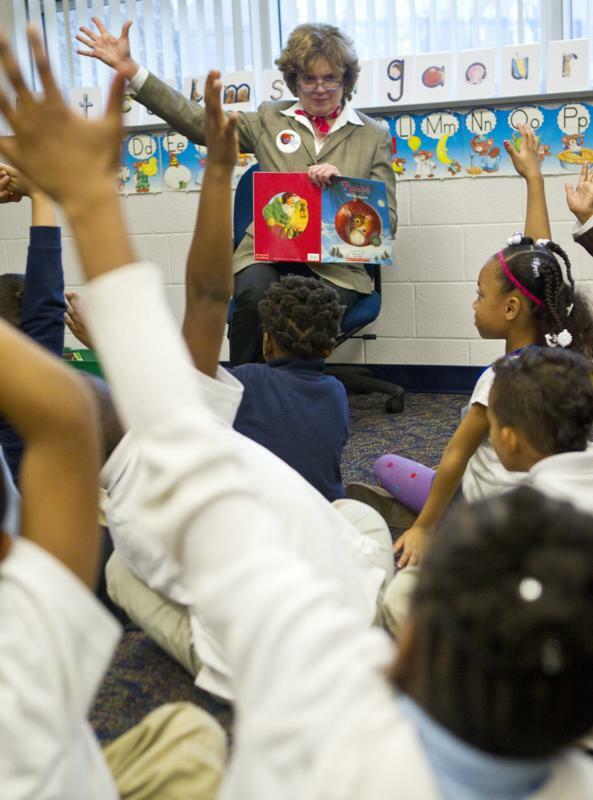 Mrs. Corbett encouraged students to make reading a priority every day. 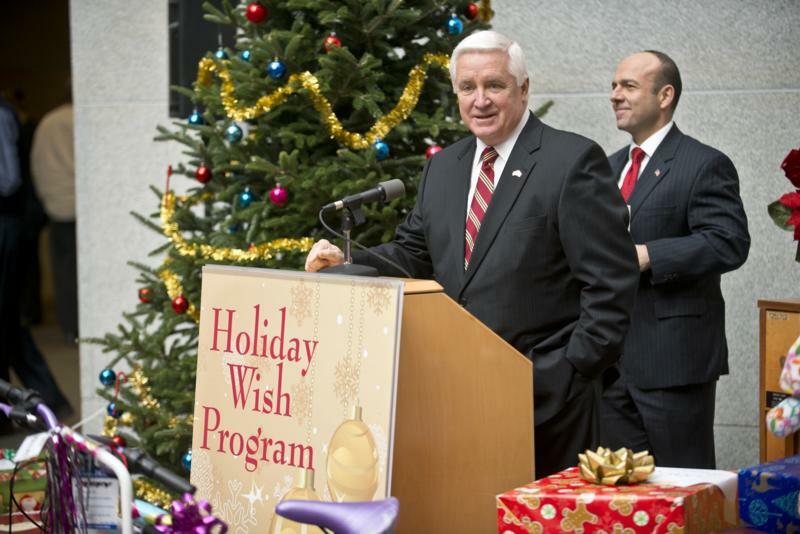 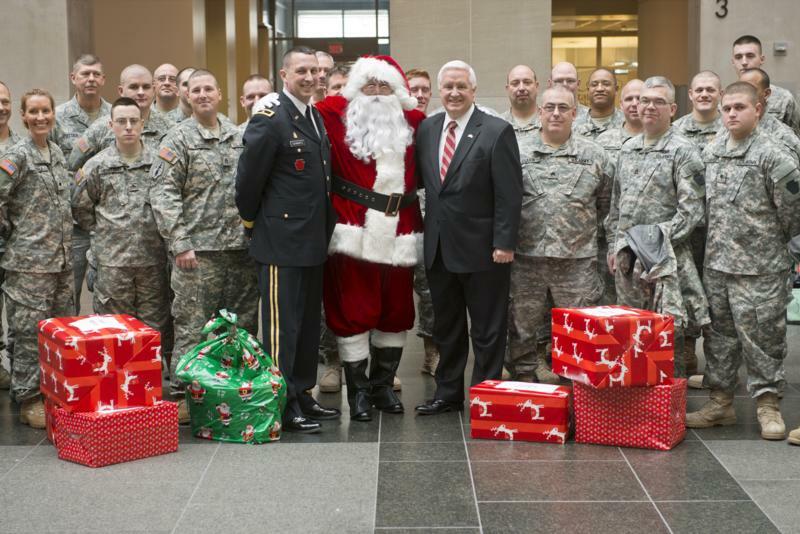 Governor Tom Corbett will join the secretaries of Public Welfare, Health and Transportation at noon on Wednesday, Dec. 12 in the atrium of the Keystone Building in Harrisburg for the Holiday Wish Program official gift send-off. 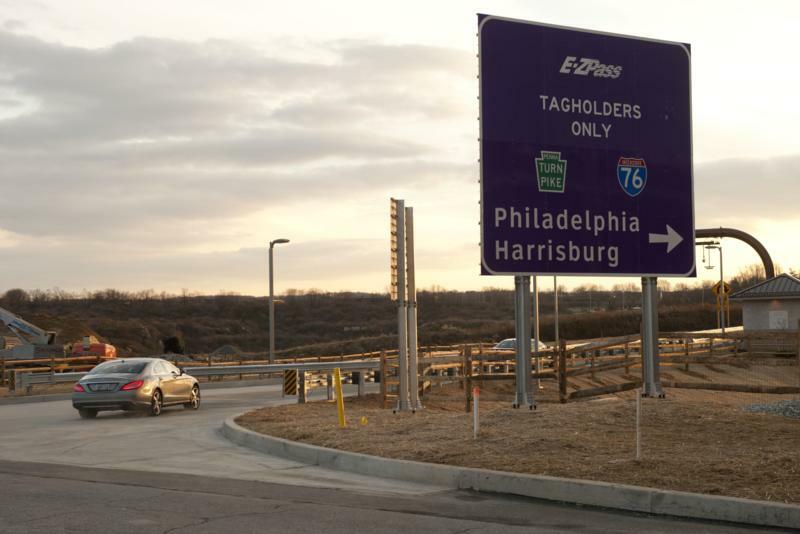 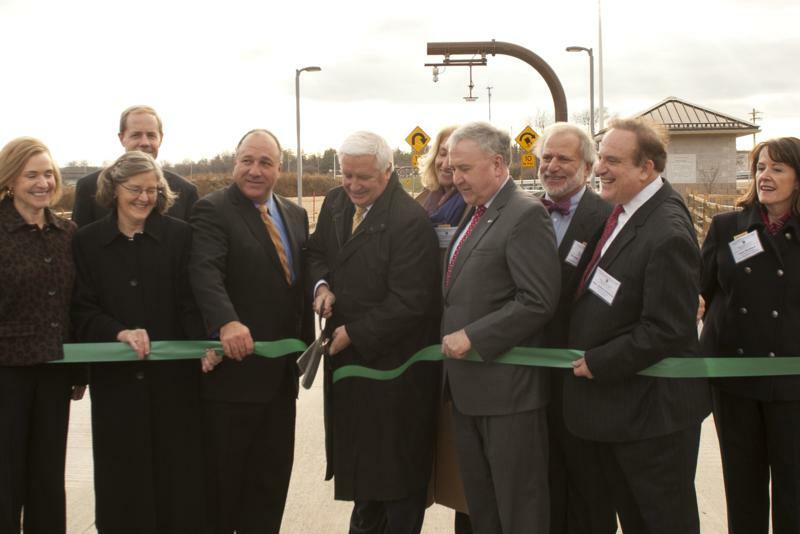 Governor Tom Corbett spoke today at the official ribbon-cutting and grand opening ceremony for the Pennsylvania Turnpike's new Route 29 all-electronic interchange. 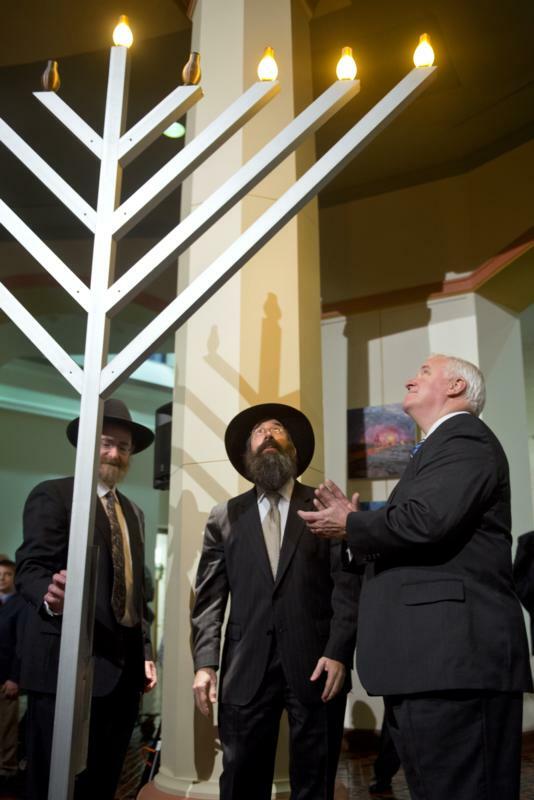 The ceremony took place outside Endo Health Solutions who chose their Pennsylvania expansion location partially due to this new access point. 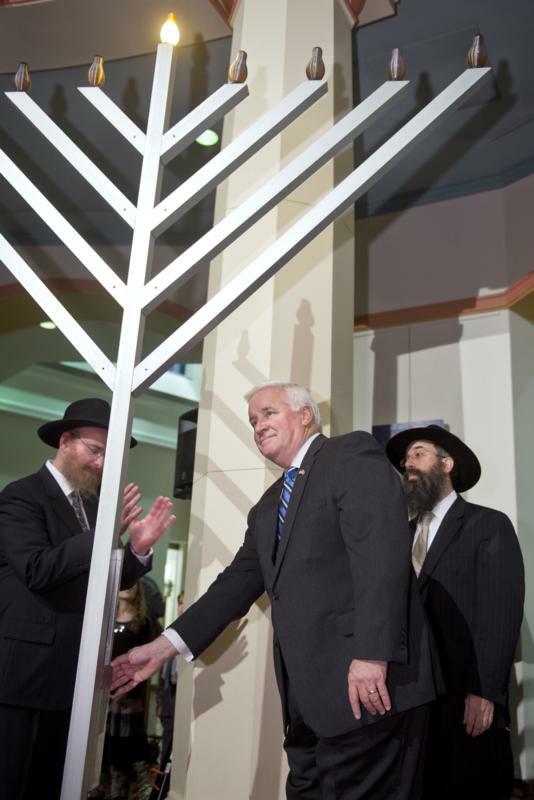 Governor Tom Corbett took part in the annual Chanukah celebration in the East Wing Rotunda of the Capitol. 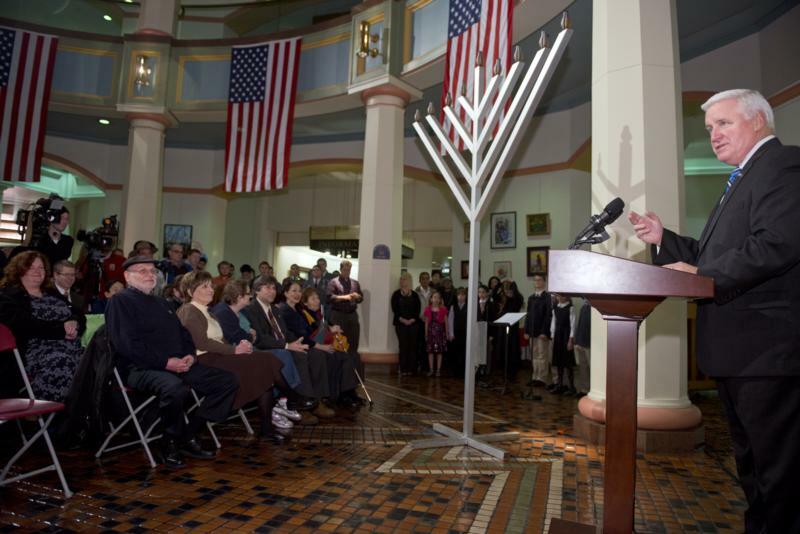 Harrisburg - Governor Tom Corbett participated in the annual Chanukah celebration today in the East Wing Rotunda.